If you have any questions regarding Teacher Liability, please contact us for a FREE TEACHER LIABILITY CONSULTATION. Educational employees often express concern whether they can be held personally liable for injuries occurring to students or other employees in the course of their work. There are a number of ways in which employees are protected from such liability. 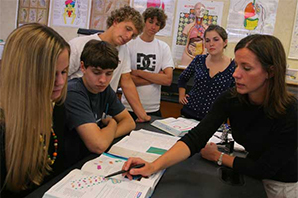 School districts and community colleges are required to indemnify (hold harmless) teachers and other employees against liability arising out of civil rights claims, death and bodily injury, and property damage claims are sought for negligent or wrongful acts occurring during the scope of employment or under the direction of the board. The protection includes the cost of defending such actions as well as any damages which might actually be awarded. This protection would include extracurricular activities as well as anything occurring during normal school hours. Although school districts may purchase insurance to protect all their employees against such liabilities, a new law requires the State Board of Education to provide such insurance coverage to any certified employee who requests it. Non-certificated employees are not eligible for this State Board provided coverage, although their districts may still purchase insurance to protect them. In addition to this statutory protection, IEA-NEA members are covered by Educators’ Employment Liability (EEL) insurance, which provides additional coverage of one million dollars and monitoring of the legal defense provided by the school district. Although a few activities are excluded, all IEA-NEA members have professional and personal liability protection from the Horace Mann Insurance Companies. This same EEL protection extends to members who must defend themselves against criminal charges by reimbursing attorney fees and legal coats, up to $35,000 when the member is found innocent of such charges. Some additional coverage is provided for posting bail, or for damage to personal property. All protection this policy affords IEA-NEA members is available only for legal actions that arise out of the member’s educational employment and is subject to some restrictions and exclusions. A student who sues a school district or school employee for injuries incurred in the course of school activities must prove more than mere negligence. The student must prove that the school employee was guilty of willful and wanton misconduct. This means a course of action that shows an actual or deliberate intention to cause harm or an utter indifference to or disregard for the safety of others. Therefore, mere carelessness is not sufficient to recover damages. This high standard of proof makes it difficult to recover damages except in the most egregious of circumstances. As stated earlier, the school board will be required to pay any damages assessed unless they include punitive damages. If you feel that one of yourTeacher Liability Rights has been violated, please contact us for a FREE TEACHER LIABILITY CONSULTATION.